S-21, And you thought YOUR highschool was bad. This posting contain several videos. If you receive this posting by email click on the title in blue now to open the posting in your Internet browser. I visited Tuol Sleng in Phnom Penh with some hesitation. It is a must see when visiting Cambodia, but you May need to dedicate Day to feeling gloomy. Originally a high school, it was transformed into prison S 21 when Pol Pot emptied all the cities and banned education. 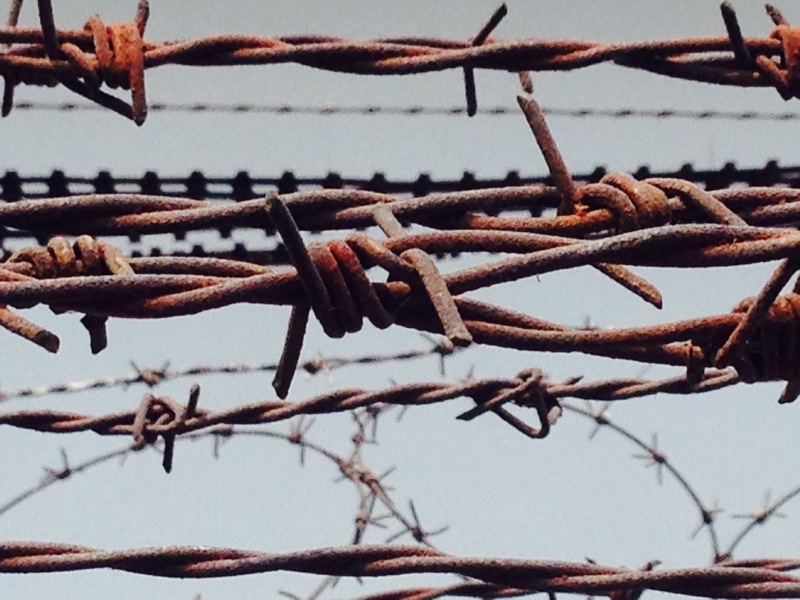 The incredible amount of barbed wire seemed almost more like an art installation then barricade. No doubt it was effective keeping prisoners inside. The long narrow buildings where classrooms had windows on both sides and open air hallways was very similar to the schools I taught in when I lived in Japan. This made the fact that it was a school made prison/torture chamber very real to me. 20,000 people passed through this center. Seven survived due to possessing skills that were needed by Pol Pot. The first year everyone was murdered on site. But the volume became too difficult. From then after being tortured, documented, and interrogated the prisoners were sent to the killing fields. Click on the image below to view a short clip of me walking past some photos of the deceased. it was shocking for me to see this typical looking school transformed into a prison. Click on the image below for a video of the same. The main level was made into cells using bricks. The next level was divided into cells by wood construction. other classrooms were used as is just filling them up with as many people as could fit. Click on the image below to view another video of me walking around the school. Lucky prisoners received a shower once a week by being sprayed from the window. One survivor said that he received one shower in three months. A survivor describes how prisoners were moved when they were too weak to walk themselves. Imagine the shock and confusion of being taken away from your life with your family and being accused of being KGB or CIA agent when you probably didn’t even know what that was. This structure previously used for high school gymnastics proved useful for torture implementation. A timeline showing me chronology of Cambodia. there were testimonies from the survivors and from people who actually worked there. Click on the image below to play another video of my visit to S 21. By this time I had read a number of personal accounts and the history was becoming very real to me. Thank you for visiting my blog! 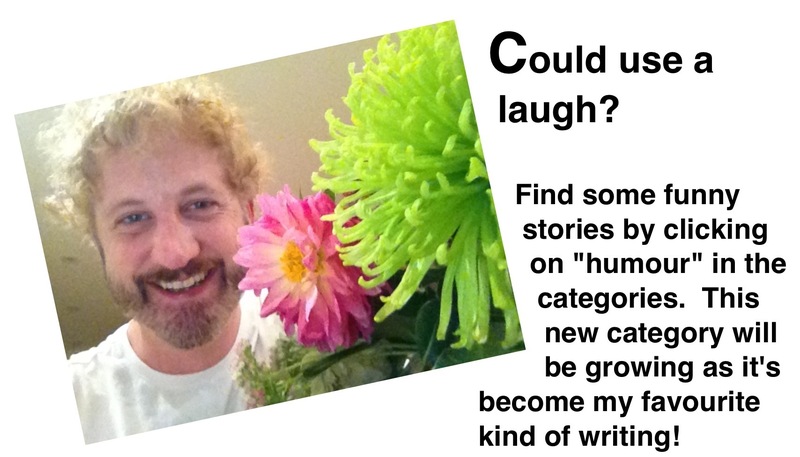 I hope you will join my adventures by clicking on “Follow” below the categories on the right and entering your email to receive my postings by email. You will only receive my postings and you can unfollow with one click at any time. Cheers! This posting contains videos. If you received it by email please click on the title and blue to open the posting in your browser. Click on the image below to join my first full day inPhnem Phom, Cambodia. My first day was to be be spent locally. The Royal Palace is walkable from my hotel but it was very hot approaching noon. That tuk-tuk driver I hired obviously knew the Royal Palace was closed but he took me for a ride anyway. Click on the next image to continue the story of my day. From 1975 to 1979 about 20,000 people were executed and murdered at this location by the Khmer Rouge. This is only one of more than 300 such killing centers. This memorial place has a audio guide full of information. I listened to the horrific stories as I wandered from site to site. Now a peaceful garden setting, it’s rather difficult to imagine the extreme evil that took place here for several years. There are benches throughout to sit and listen to the audio commentary. A very necessary but somber experience when visiting Cambodia. It took me back to when I was 23 years old and I visited one of the Nazi extermination camps in Poland. This was perhaps not my ideal first full day in Cambodia. Click on the image below to play another video. What was going on in this site was tried to be kept a secret from the nearby locals. Music was played during the brutal killings to mask the noise. This monument was directed to house 8000 skulls recovered from mass graves on the site. Color codes were used to classify how the victim was murdered. Bullets were considered expensive so very few were killed by gun shot. Most were beaten to death with a variety of blunt objects available. Many were simply knocked unconscious and put into the mass grave. The chemicals used to hide the odor from getting to the locals also served the purpose of killing those who were still alive when buried. This was a grouping of skulls clearly damaged by hoe. Looking up at 8000 skulls of people who were beaten to death in very recent history (while I was alive) is an overwhelming experience. If that wasn’t bad enough here was a mass grave of children. Evidence was found that children were beaten to death against this tree. I would later learn when visiting S21, that babies were smashed against this tree. If someone was deemed “guilty” in a family, the entire family was exterminated. This made for a sad first full day in Cambodia. But this was on my list of places to see so I am glad that I got it out of the way. I’m sure it’s well known that the Declaration of Independence was signed here in 1776, and first read to an audience in Independence Park. President George Washington served his presidency here from 1790 to 1797. Starting the same year that the daily paper went out of business and the year that the Philadelphia Stock Exchange opened. Interesting. Those were happening-times around here. Seems like a much quieter place now, it has to be said. In case you were wondering about that technological first, it was the design and build of the worlds first entirely electronic computer, ENIAC. This beast was more than a thousand times faster than it’s predecessors, so an enormous achievement both in size and importance. This was 1946. Today we carry more computing prowess in our pockets in the guise of mobile phones while ENIAC weighed-in at sixty thousand pounds. (According to Siri, that’s equal to forty average six-cylinder sedans. She didn’t just tell me that, I had to do the math in my head. I’m not completely reliant on her.) The world has changed very quickly. 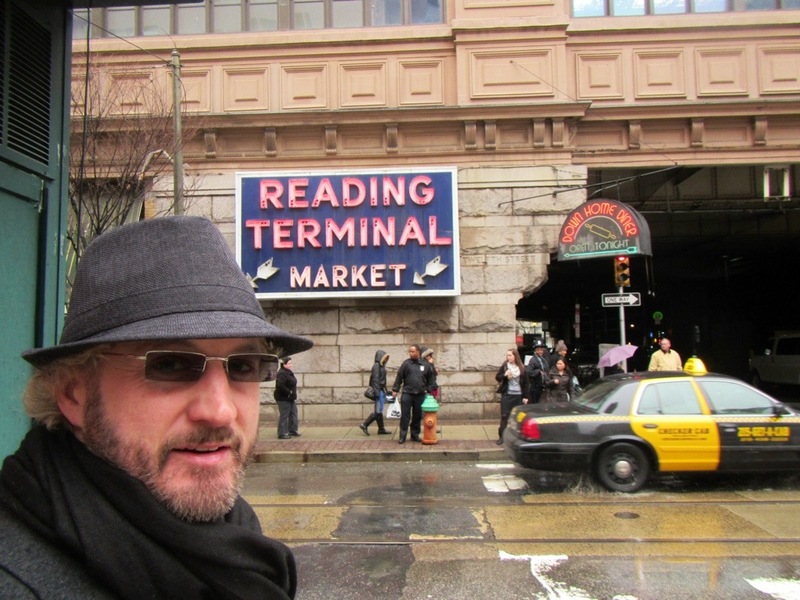 I happened into the lively Reading Terminal Market where I would have been happy to get out of the rain had it not suddenly stopped while I was waiting to cross the street to it’s entrance. Of course it recommenced soon after I reintroduced myself to the open air an hour later. In the market I enjoyed a fantastic dark roast coffee and a scrumptious Roast Pork sandwich with Provolone at Dinic’s after seeking the advice of some locals. My friends in Rhode Island had told me not to miss this market and I felt well-advised. I tried to read the fascinating history of the market but my eyes glazed-over with boredom. (I’m sure it’s well-written, I’m just funny that way.) Anyway, it’s a great place to wander, eat, and purchase everything you might need to prepare many kind of meal. 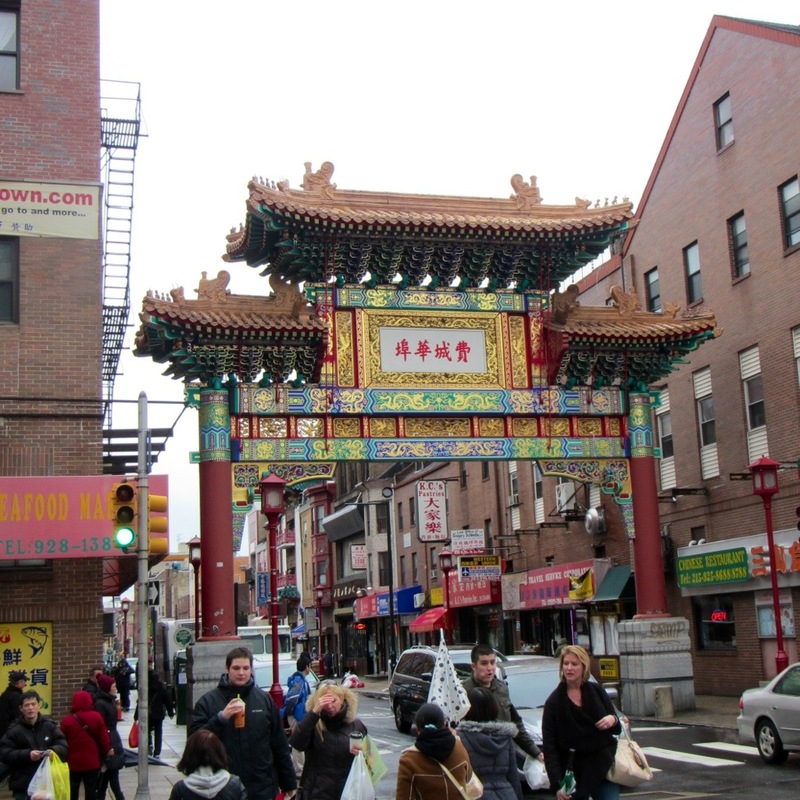 I learn online, with some surprise, that Philly has the most public art pieces of any US city. The surprise came from the fact that I noticed very few, although perhaps many were being obscured by the nearly constant rain. Or maybe many are not waterproof and are contained within indoor public spaces. For outdoor space, Fairmont Park, with eight thousand acres, is the largest US city park. I thought to myself, would that be a simply wonderful place to tromp through muddy grounds while enjoying winter rain storms? Possibly, but I didn’t. Open my umbrella, and I was immediately transformed. It was far too colourful, they would never carry such a garish non-black item. This got me new attention though, I cannot tell you how many times I had a version of the following conversation. In the birthplace of the American flag no less (the first one made by Betsy Ross in 1777 in her local upholstery shop). 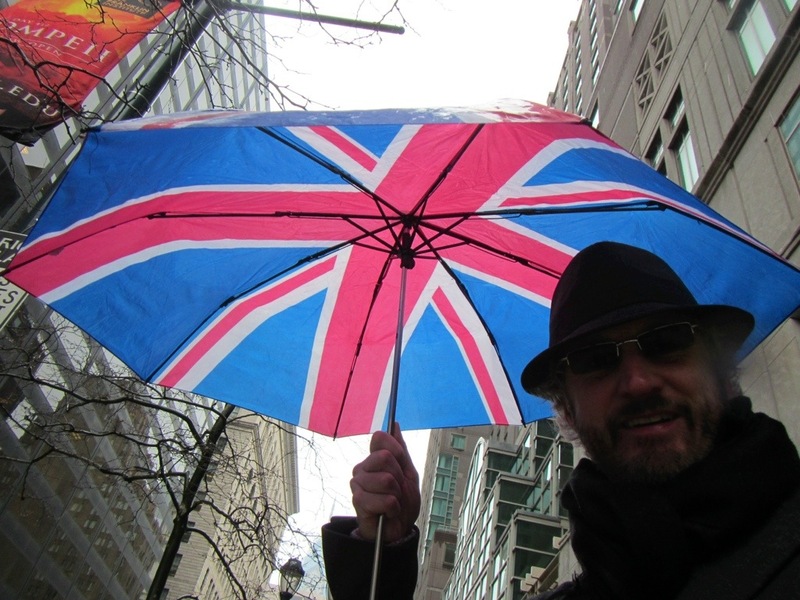 “Where you get that American flag umbrella?” “It’s the British flag, I got it in London.” “Wha! They stole our colours?” “No, I think you’ll find that the UK is older than the US.” I think most tourists visit Philly because of it’s American history and heritage. It wasn’t that any of these Americans would not have recognised the American flag (I can hopefully assume), it’s more they did not recognise the Union Jack and only saw the colours. Somewhere near to my hotel I decided to treat myself to a souvenir that soon after revealed itself as having been a cultural misunderstanding. 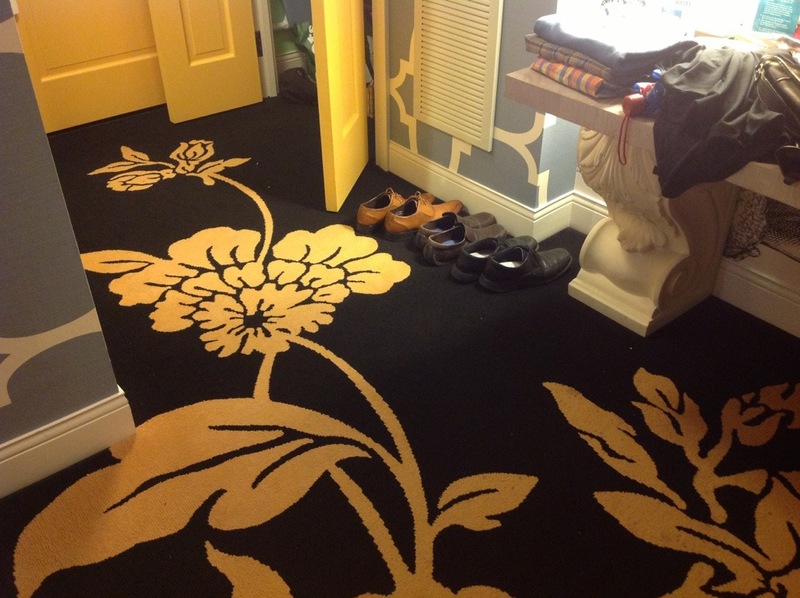 I really don’t know what I was thinking when I spent near to three hundred dollars on such a ridiculous purchase. I intentionally took too many clothes on this road trip so I would not be tempted to buy more. I resisted the Black Friday and after Christmas sales in SOHO, Greenwich and Tribeca even from within the confines of shops purveying on-sale clothing I liked when shopping with my sister and her Dachshund. So here I saw these very unique offerings and I finally broke down. 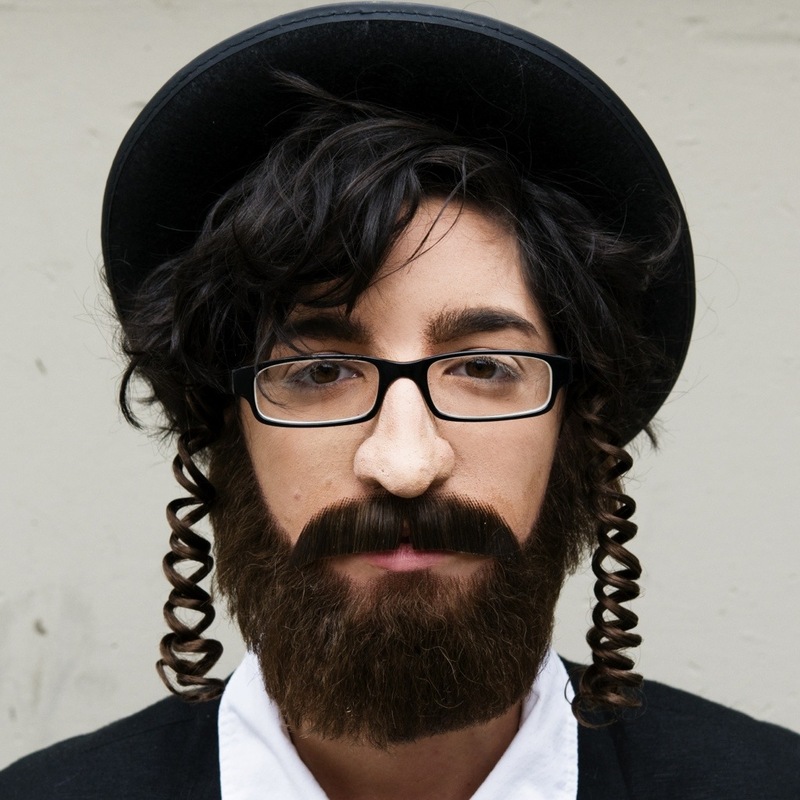 I bought myself a fashion suit. Doesn’t sound so bad. But let me tell you. A patterned trouser, with huge pleats (to accommodate a more shapely rear attribute than my own), a matching zipper jacket, a colour-matched mock turtle sweater, matching socks, and shoes. 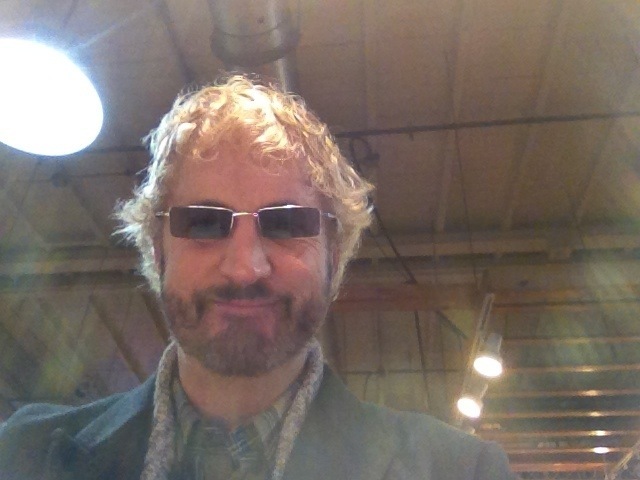 Oh, I thought I was a picture of style in the store. It wasn’t until I tried it on in a different city for the first time outside of the all African American store that I saw it. 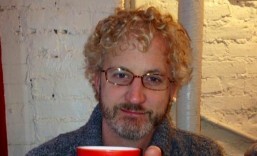 I looked like a white guy trying to disguise himself as a fifty-year-old hipster black guy. In 1960. It looks like a costume on me, I have no idea how I was ever able to look at that entire matched outfit and think, yes. This is just the thing. I will look the bomb. I pulled-away from the city, where I can only assume it rains every single day, on a wet Tuesday Morning in the direction of nearby Baltimore. I can remember it was a Tuesday because I had perfectly (although unintentionally) timed my visit to not be able to see most of the museums, closed on Mondays during this off-season. Like Paris, where I was a little disappointed the first time when I was not swept-off my feet by constant romance, I’ll probably like Philadelphia even more the second time I visit. I may not have noticed an extraordinary amount of brotherly love in the air, but it was friendly and handsome just the same. When I was near my hotel again I changed my hat to this dark gray one, I have photos of me wearing the black felt one but not in Philly. I just got this image online to show you the look they would have been looking closer to see from afar. 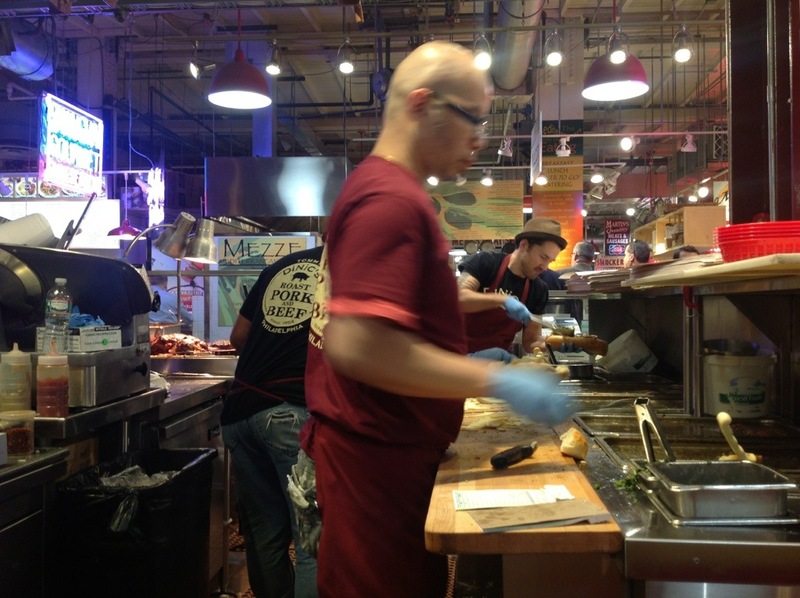 From my counter seat at Dinic’s enjoying a sandwich inside the Reading Terminal Market. I shopped here. Very friendly store. You know the rest. I found this interesting. 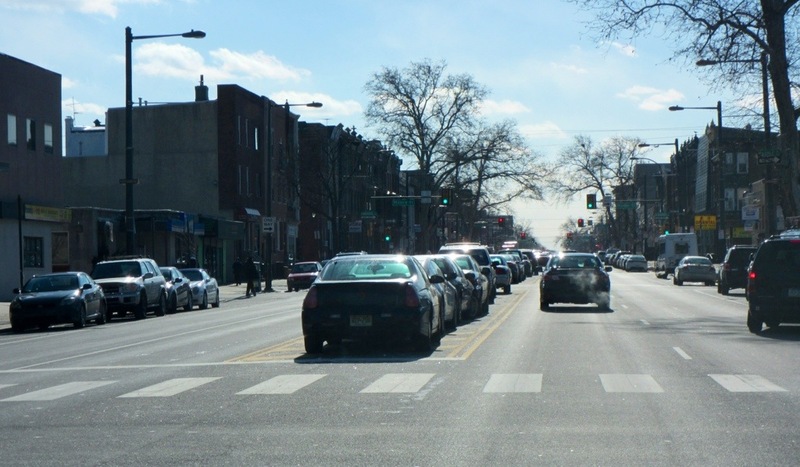 Rather than trees in the middle of this boulevard, parked cars. How often do doors get taken off? 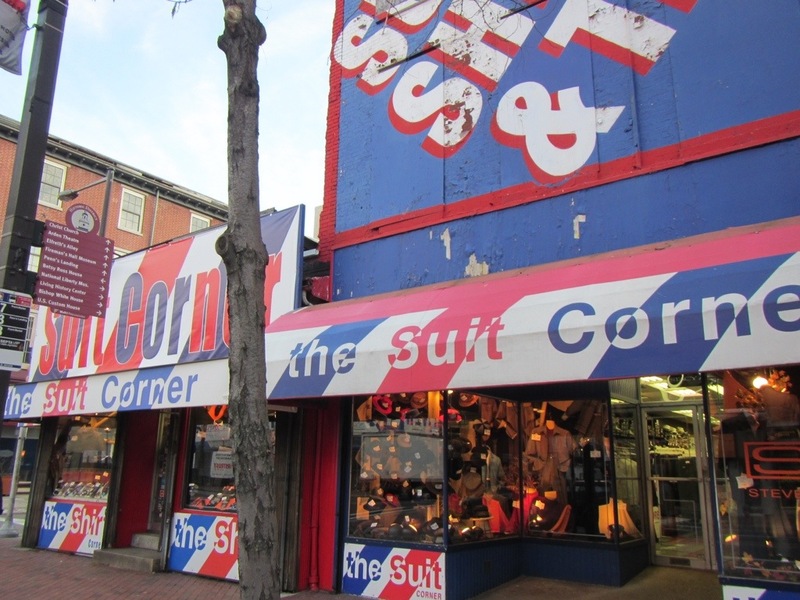 Click on the image below to view and hear the music video “Streets of Philadelphia”. If you receive this posting by email, it will open the blog post in a browser to work, if not click on the blue title to open the posting in an internet browser. Interesting about this video is that rather than using Springsteen’s studio recording they re-recorded him singing live as he walked down the streets. The video was to be as real as possible and it was done to great effect. The video also shows the hardship and poverty that appears to continue today. America’s original capital city, Philadelphia, seems to have fallen off the main stage but it is still the fifth largest city in the US with more than five million residents. Despite the name of a recent sitcom (“It’s Always Sunny in Philadelphia”, you can find it on Canadian Netflix), I would say that it rains every single day in Philadelphia. I should perhaps disclose that my observations made from under an umbrella were conducted over the course of two days. So, there is a slight chance that the weather may differ from when I was there but that is how I will remember it. Philly first hit my radar for places I must visit when I discovered that it was the “City of Brotherly Love”. Doesn’t that sound just lovely. I imagine guys walking arm in arm, sitting outdoors at street-side cafes calling each other “brotha” as they share the love. The locals must really affectionate with each other to earn such a title. Perhaps the term, “bromance” comes from here too. Will Smith was born here; he seems like a warm, loving guy, doesn’t he. Kevin Bacon too. Aren’t we all supposed to be somehow associated with Kevin Bacon by six degrees? That’s a warm and connective thought, isn’t it. Fits right in to my new life philosophy that connecting with others is perhaps the most important thing. Imagine my shock on discovering that “brotherly love” was not readily apparent on the streets when I first wandered out of my hotel in search of dinner in torrential downpour that first evening. I was a little disappointed when no one had offered me as much as a hug while I was checking-in to the artsy Hotel Monaco. Then on the streets, passing the soaking people slogging their ways home after work, not as much as a friendly smile to acknowledge my arrival to their loving city. What was more, I was not even called “brother” that first night, not even one time. I was horrified. Turns out, the city did not earn the reputation of being a city of brotherly love in recent years, nor is it actually a reputation. 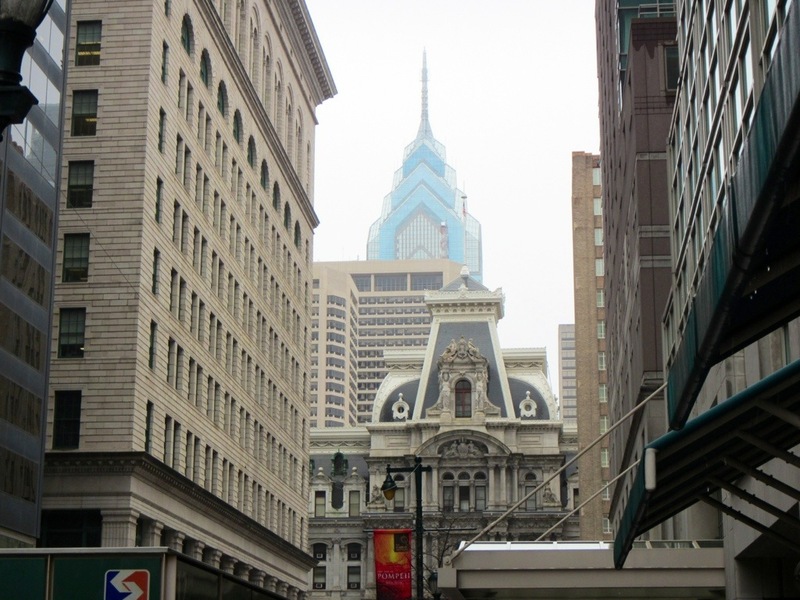 It stems from the city’s conception by founding father, William Penn, who must have been a pretty loving guy himself. It was his vision to create a place where everyone would just get along. He envisioned that people from different places and backgrounds could live together in peace and harmony. I guess equality of the sexes had not come together for him yet though, or he simply recognised that most of the problems were coming from the guys anyway. Women are always more accepting and loving towards other women when compared to men. Except when they’re not. So it was he found his male-focused inspiration from the Greek, philos adelphos. Always a fun place to go with words when you want to sound smart; it gives you that little extra edge on profundity too. Literally it means, “loving brothers”. Well, the loving brothers probably didn’t want to live somewhere that sounded as precious as philos adelphos so it was anglicised to the handsome name of Philadelphia. Another name Bill can take credit for is the state of Pennsylvania. Which is his surname plus “sylvania” (Latin for “forest land”) so literally, “Penn’s woods”. So, that name is a tiny bit more self-focused I can’t help but notice. 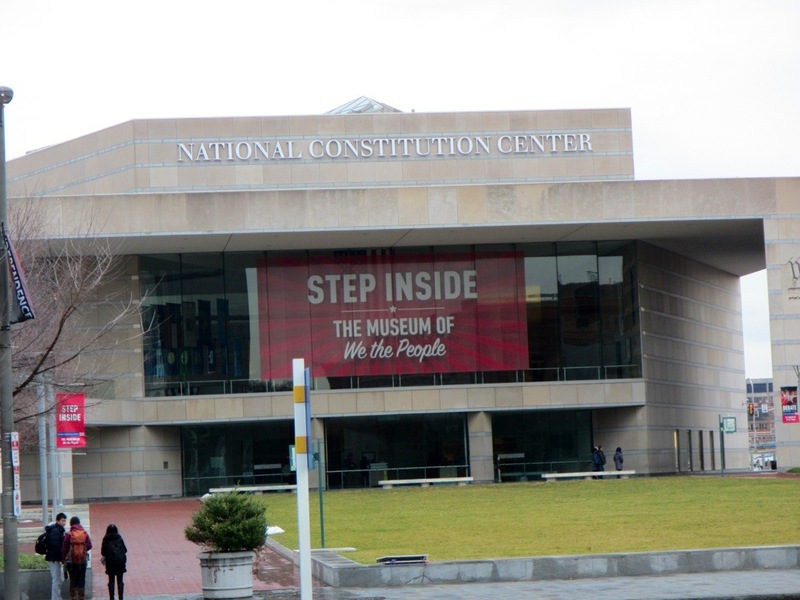 There were other fun reasons to visit the “cradle of liberty” anyway. Mustard was first produced here in 1768 by Benjamin Jackson. I like mustard. Was it invented here or was that just when the first person recorded making it in this location; people like to record all sorts of silly things. Someday I’ll have a fact checker who enjoys looking into such exciting matters, for now just know that I do not promise that any of the facts presented here are definitely true, but I did not make them up either. (Okay, Siri says the Romans had mustard, so I’m not sure what exactly this claim is about. I think that Siri might also be using the internet for her information too though.) Anyway, do they love mustard so very much that they aknowledge simply when someone first made it here? And how do they really know he was the first person here to do so? Do they know when someone was the first here to make jam too? How about strawberry pie? Might one happen upon a plaque somewhere indicating that within this home was where the first person in Philadelphia who practiced Japanese flower arranging lived? How far do such commemorations go? I wonder if there is anything I could do here to become the first to have done it here. Another exciting first came soon after in 1775 when Johann Behrent completed the first piano (then called piano forte) built in the US. In fact, Philadelphia had a lot of firsts. The first commercial radio broadcast (KDKA). The first zoo in the US (founded by Benjamin Franklin). The first bank on US soil. The first US stock exchange (1790). America’s first daily newspaper. (Although short-lived, 1784-1790.) The first “Rocky” film in 1976. And then the second. And the third. My first evening I enjoyed a meal at a little pub where I did enjoy some brotherly chat with the bartenders. They were enjoying a two-to-one customer-bartender ratio so could hardly avoid interacting with the four of us sitting in front of them at the counter. Even if they had wanted to. I was not walking away without my brotherly love. Well, with one of the bartenders I suppose it was sisterly, or half sisterly-half brotherly since she would have been like the loving sister chatting with me her loving and very interesting and dare I say charming, brother. The next day I burst outside, again finding the rain a little off-putting for sight-seeing. Off-putting in that subtle way that I did not want to go outside and had to force myself. 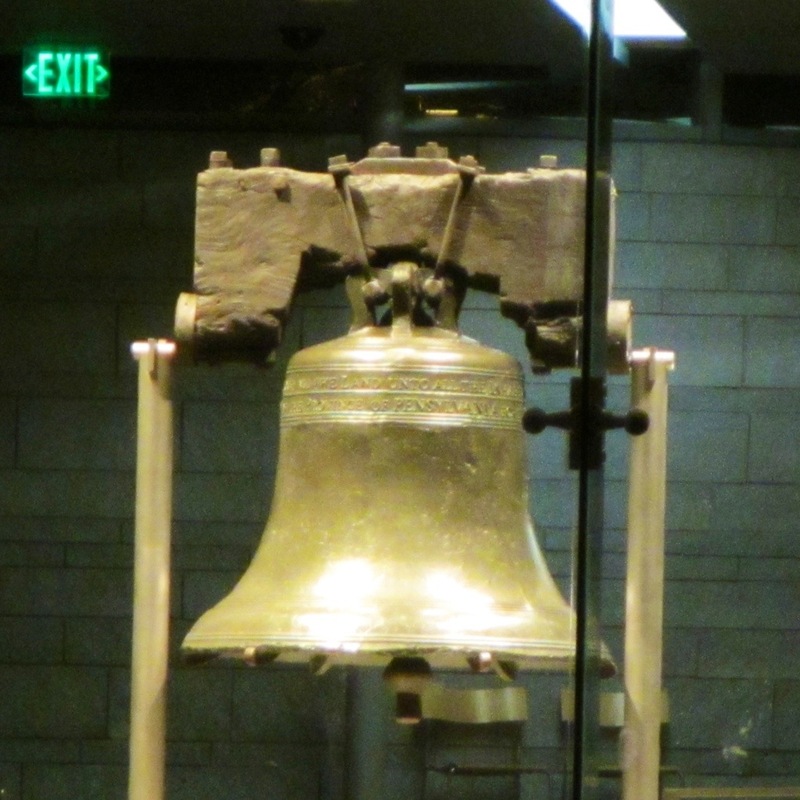 I wandered past the liberty bell, the infamous instrument that cracked on it’s first ringing. Online there is some dispute as to whether Pennsylvania was misspelled as Pensylvania or whether both spellings were at the time commonly in use. I should think Penn would have always wanted the second, silent “n” to be included for higher name recognition, even if it were a redundant letter when it came to pronunciation. Later I will visit Allentown, where I discover that the broken/cracked bell was escorted to protect from it the British. I guess the British must have really liked big, cracked bells. I must ask them about it next time I’m there as it’s one of my favourite countries to visit. A conversation starter, “Do you people still like to acquire large, cracked bells?” So high was it’s value, it was escorted back to Philadelphia by a caravan of seven hundred wagons. I read that online, so it must be true. But that sounds astoundingly absurd to me. One damaged bell. Seven hundred means of transport. Overkill or prudence? One shouldn’t judge. I discover another first on my wanderings, this one technological. The Liberty Bell, in Philadelphia, Pennsylvania. 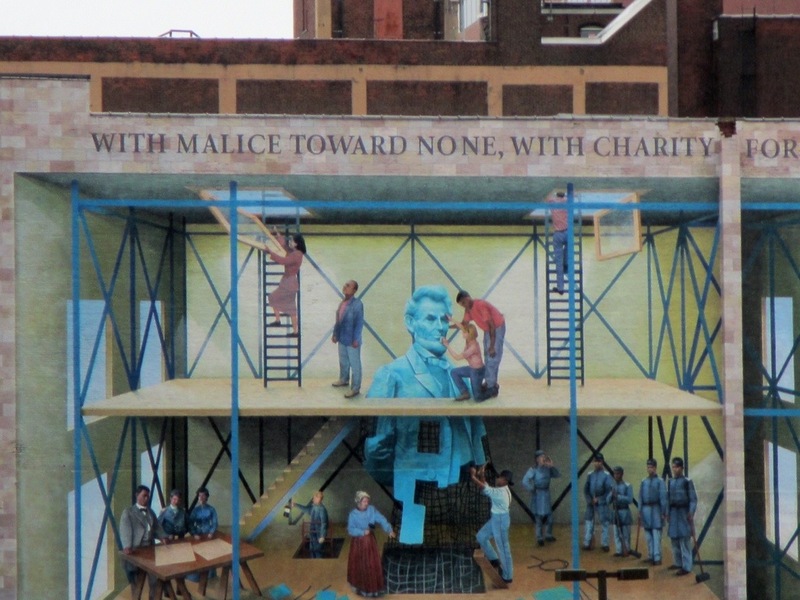 A Mural in Philadelphia, 2014. Inside the lobby of the fun-looking Hotel Monaco. 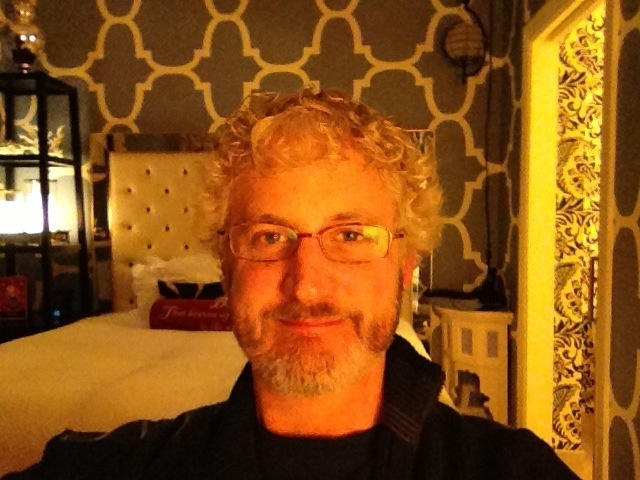 In my room of the hotel in the city of brotherly love where no hugs were pro-offered.